Yesterday I learned that today was pajama day at my kids’ school. 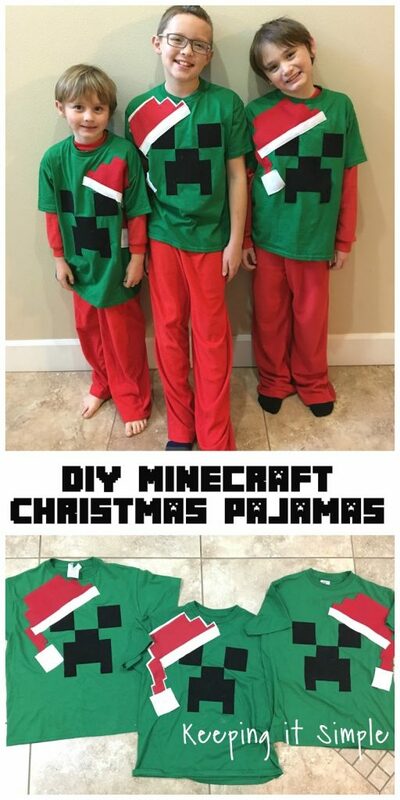 I usually just send them in mixed matched pjs that we have laying around. 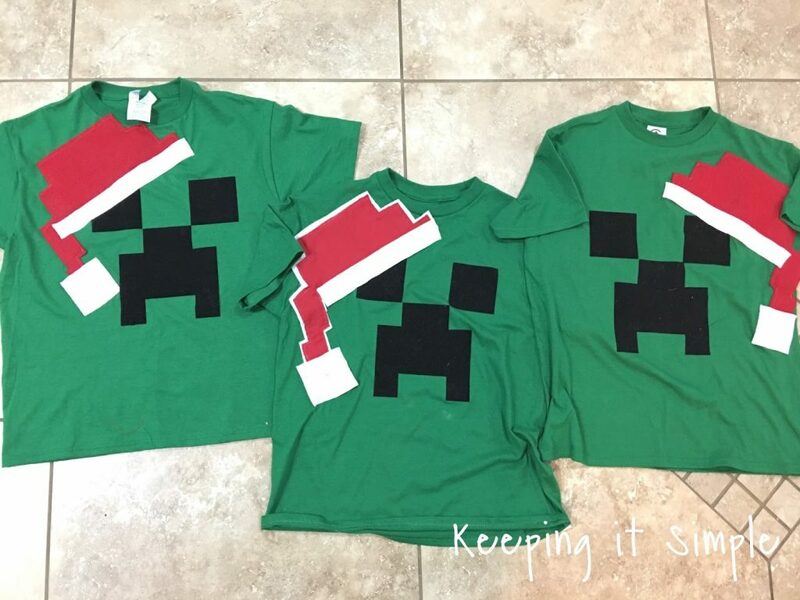 Well then I decided that I needed to do something fun for them and so last night, way past bedtime, the four of us made these fun shirts! 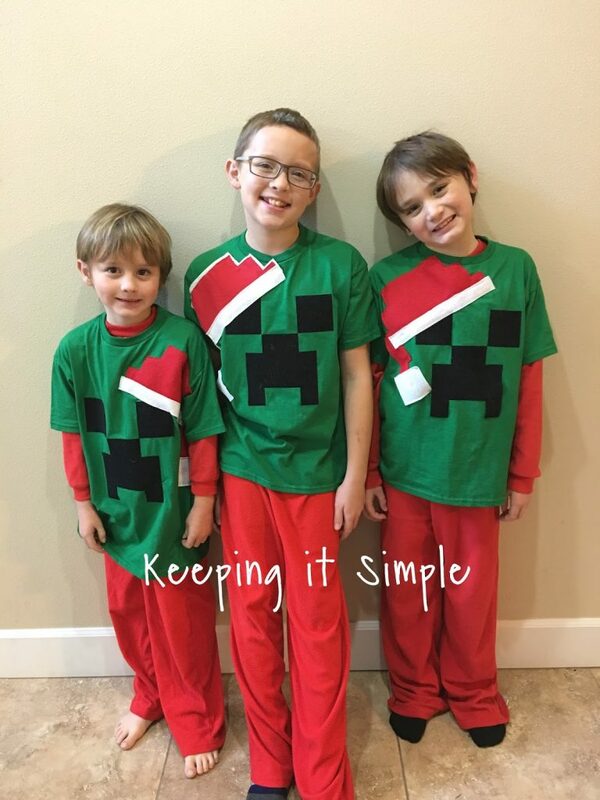 They were so easy to make, the kids helped me make them, and they turned out sooooo good! I wanted to put some tinsel on them to make them more of an ugly sweater shirt, but they decided that they wanted to wash them and make them last, so we settled with felt. 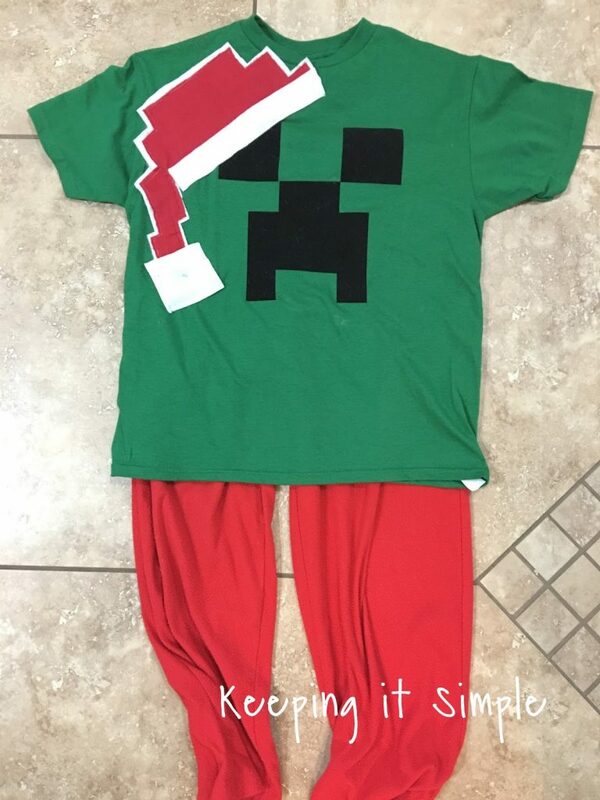 I love how these Minecraft Christmas pajamas turned out. Because I was in a rush to get them done, I didn’t take pictures of the process but they were easy to make. I got the shirts for the dollar store. The first thing I did was cut out some black flocked heat transfer with my Silhouette CAMEO. You could easily do black felt for that too. We ironed those one (I let the boys do that). 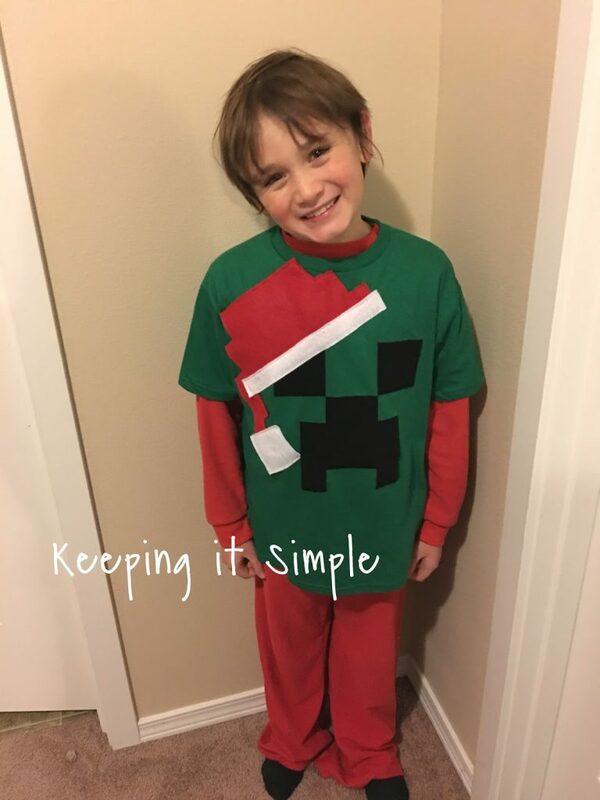 Then we cut out some Santa hats out of red felt (I made a template out of paper first) and then I sewed the hat directly onto the shirt. Then I added some white felt for the fur and ball of that. We paired it with some red pajama pants (luckily my kids had those already). My boys were sooooo excited about these last night (so excited that they had a hard time going to sleep). Here they all are, all ready for school! I love that they match but each one is a little different.